Keep mold away after a remediation by addressing the top causes of mold in the home. Mold isn’t just unsightly; it’s also unhealthy. While certain individuals such as very young children, the elderly, and asthmatics are more susceptible to mold-related health problems, anyone can experience a minor allergic reaction to mold. If you have mold in your home, you’re breathing in mold spores right now. Investing in expert mold removal from H2 Environmental is an important first step towards breathing easier. However, in order to make sure the mold stays gone, it’s important to address the factors that are causing the mold to grow in your home in the first place. Here are some of the top causes of mold in the home you may need to address. 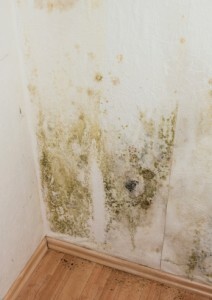 Mold thrives in a huge variety of environments, but one common factor is always moisture. Leaky pipes are a top cause of hidden moisture in the home, which often creates ideal conditions for mold to thrive unseen inside cabinets, behind walls, and beneath carpet and flooring. Make a point of inspecting your pipes regularly and keeping an eye on your water bill to help catch leaks early and fix them before they can help too much mold to grow. Whether your basements or crawl space is merely damp or actually has standing water, this situation can lead to mold growth. 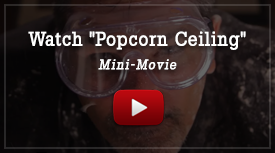 Some possible steps you can take include creating a moisture barrier between the dirt floor of your crawl space and your home with plastic sheeting and making sure the drainage around your home is configured so that water flows away from the home rather than beneath it or into the basement. Inadequate ventilation in steamy areas like laundry rooms and bathrooms can also contribute to the growth of mold. If you notice moisture condensing on the walls and windows after taking a hot shower or drying a load of laundry, you need better ventilation. Make sure your dryer vents to the outside and there are no holes or gaps in the ductwork that could be releasing humid air into your laundry room. If you don’t have a bathroom fan, consider installing one or else crack a window after showering. If you have condensation or humidity problems throughout your home, you may want to consider a whole-home dehumidifier as an inexpensive alternative to updating your whole ventilation system.